CRAFTED: Simple past tense and past participle of craft. Craft [kraft, krahft] definition: Skill in doing or making something, as in the arts; proficiency, or products. Welcome to CRAFTED, the 8th annual Interior Designers of Alberta Hard Hat Party. A gathering of the Interior Designers of Alberta members, industry peers such as suppliers, contractors, commercial real estate agents and more celebrating the skill of designing environments that help shape and make our world. Don’t wait too long to get your tickets, because we all know good things don’t last. And please bring a donation for the Edmonton Food Bank. Been thinking about joining the IDA but are still on the fence? Already a member but still don’t know many design-y folks? Not sure if you’re even eligible to be a member? We got you. Join us for an evening of mingling with other members of the Interior Designers of Alberta who are happy to answer all of the above. In between answering questions, we’ll be learning how to mix cocktails like a pro so you never have to SETTLE for gin and tonic again. Come out and get to know your local design community! This is an awesome opportunity to reconnect with familiar faces, grow your design tribe, and feed your inner mixologist! Derrick Leue, President of PROLINK Ltd. This one-hour webinar, offered by PROLINK, will help members gain a better understanding of how liability insurance protection plays an essential role in the strength and vitality of their business. By knowing how and when your coverage responds to lawsuits, the resulting financial devastation can be reduced or even prevented. Attendees will gain awareness of the types of exposure they face as design professionals. Understanding the exposures and proper risk management techniques will enable members to exercise better business practices in order to minimize the risk of experiencing claims, and the resulting damage to their reputation and business operations. PROLINK was appointed as the manager of the IDC professional liability insurance program in 2012. Join us for a webinar with NCIDQ ambassador and 2018 Leader's Breakfast Honouree, Victoria Horobin. Victoria will serve as a mentor and provide information about the NCIDQ Exam, NCIDQ Certification, and her personal experiences. Qualification is a critical milestone for an interior designer. 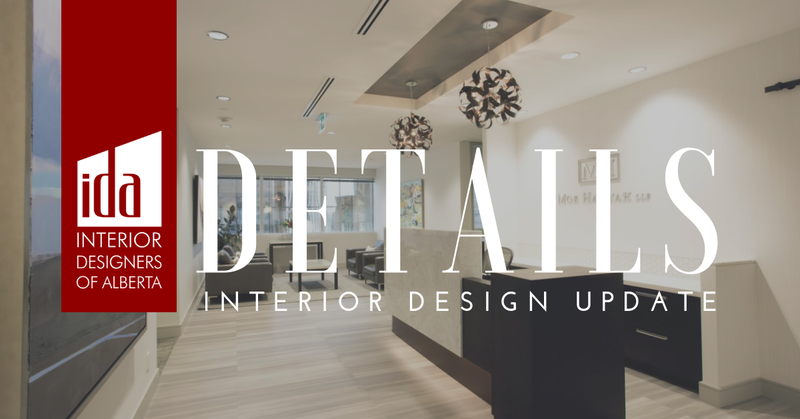 It proves that you have the knowledge and experience to create interior spaces that are not just aesthetically pleasing, but also safe and functional. Friendly reminder that 2019 membership renewals are due by January 31st, a 10% late fee will be added to renewals received after this date. Login to the member portal to renew. Stay in touch and receive our monthly newsletters including industry updates, upcoming events, job postings, and more. If you know of someone (IDA member or non-member) who would like to receive our newsletter, please pass this along! 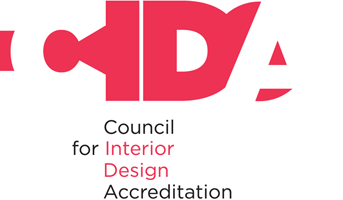 IDA has an updated policy on submitting CEUs for our members who are also Licensed Interior Designers with AAA. We will accept your AAA Professional Development Transcript in lieu of inputting them onto the IDCEC website. We only ask that you note which are HSW, IDCEC, and non-IDCEC for us, and that you still meet the number of CEU hours required by IDA. If you are still short of CEUs for the last reporting cycle ending on December 31st, 2018, there are many online courses you can look into.